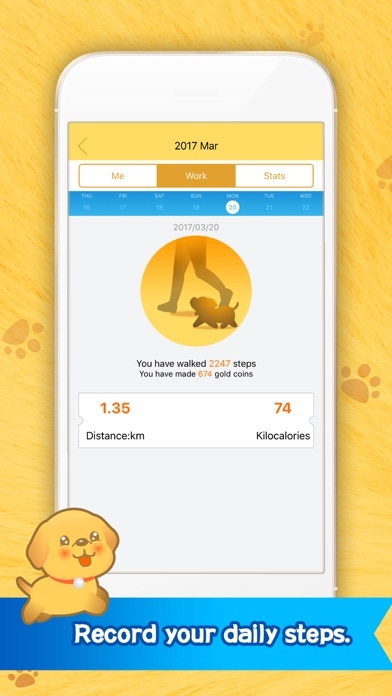 Adopt a puppy to walk with you in this adorable pedometer! 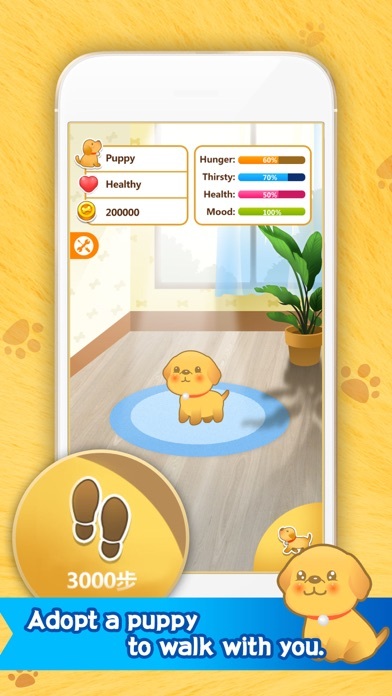 Adopt a little puppy, take a walk to deliver letters, earn some coins to feed your lovely pet; A combination of pet breeding and step counting, keeps you company while taking exercises; Accurate step counting and statistics tracking, data synchronization with HealthKit, your exclusive mobile widget. Let's go for a walk, little postman. 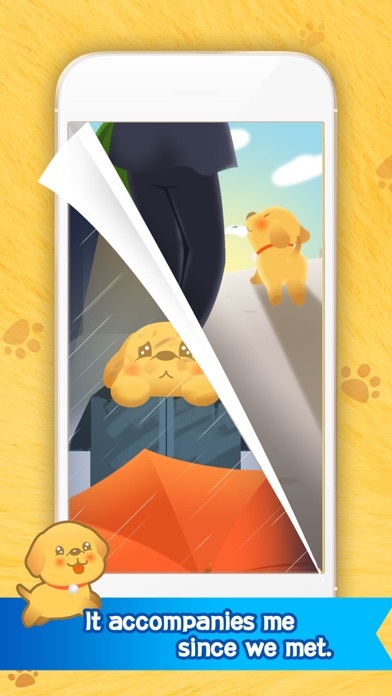 Earn some coins to feed your puppy, stay with it and look after it as much as you can. Try to form the habit of exercising by taking walks with it side by side, after which you can have a healthier body in better spirits. 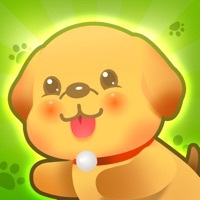 Let the encounter with your puppy be the prelude to a better you! 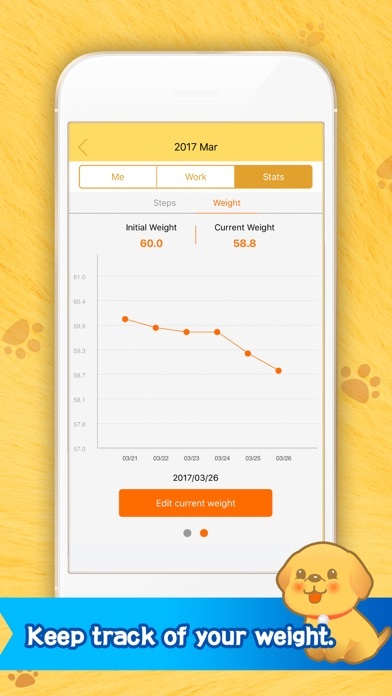 -----------------Body-Building&Pet-Breeding------------------------ As a pet-raising game, Puppy Walker is also a pedometer app that can track your steps, calculate your calorie consumption and let you enjoy the company of your pet. ------------- Destiny of Encounter------------------------ In Fairy Town, people are leading a happy and steady life. As the only postman in town, it is your duty to deliver letters to wherever they belong. You have reached every corner of the town, all by yourself. You love to see the smiles on those recipients, yet a trace of loneliness often ripples deep inside your heart. On a stormy night, you encounter a deserted little puppy. Somehow, you could see yourself through its woeful eyes, so you decide to take it home with you. From now on, every step you take will be in the company of this lifelong companion. It only tracked my steps while the app was open. I’ve definitely taken more than 8 steps a day lol maybe it would work better if it could be linked with Fitbit?